The holiday season is meant to be fun, relaxing, and cheerful. Unfortunately, some drivers take these concepts to the extreme when they drive under the influence in Los Angeles on roads filled with holiday crowds eager to get the Grove and/or Century City Mall (it seems like everyone in the city pours into these malls this time of year, doesn’t it?). Our attorneys have seen an unfortunate plethora of Christmas DUI cases over the years, both in and out of Los Angeles. We would like to educate drivers on what can happen if someone commits a DUI during the holiday season and how to drive safely while enjoying the many associated festivities. 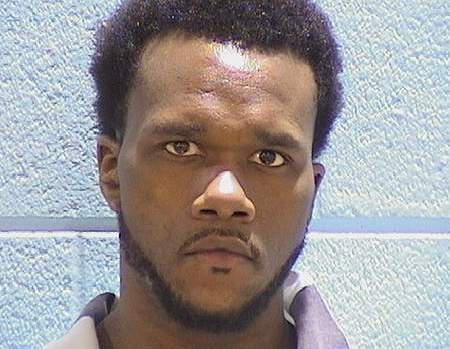 Twenty-seven-year-old Jeffery Smith of Chicago knows the pain of a Christmas DUI all too well. On December 24, 2013, Smith was found pinned in his crushed Chevrolet Impala, which had plowed into a tree on West Garfield Boulevard. The roof had been crushed below the seat level, trapping both Smith and his eight-year-old daughter Lauren. Rescue crews worked for over forty minutes to extricate Smith from the vehicle and didn’t discover Lauren was there until Smith had been removed. Lauren’s grandmother, Lorie Hall, had been expecting Jeffery and Lauren to arrive at her house for a Christmas celebration before the crash. “We were going to make gingerbread houses,” she told a reporter at the Chicago Sun-Times. Instead, Lauren was taken to Chicago Comer Children’s Hospital and pronounced dead the next morning. Jeffery Smith now faces three years in prison, with credit for a year of time served since his initial arrest in 2013. Cook County prosecutors said Smith’s blood alcohol level was .137 at the time of the wreck. A tragic story like Lauren Smith’s can make even the most carefree driver want to handle his or her vehicle more safely. Yet some drivers struggle with how to do this, especially during the holiday season when crowds and crashes naturally increase. The Kraut Law Group offers these tips. • Drink early, if at all. If attending a holiday party at work or a family celebration, drivers should limit themselves to one drink early in the afternoon or evening. Beyond that, stick to punch, water, soda, or coffee. • Drive within the speed limit at all times. • Check local weather reports – if snow or freezing rain is predicted, try to stay home or finish activities as early as possible. • Don’t attend parties or other holiday functions alone. Go with a friend or two, and designate a driver early in the evening.